If you remember Caroline Manzo from the Housewives of New Jersey, you probably remember she was one of the first celebrities to share publicly that she shaves her face. Since then, many others have announced they shave too. These ladies admit to shaving but only as a method of maintaining a more youthful appearance, not to remove course hair. But, shaving with a traditional razor cannot compare to having Dermaplaning done by a professional. Here’s why. 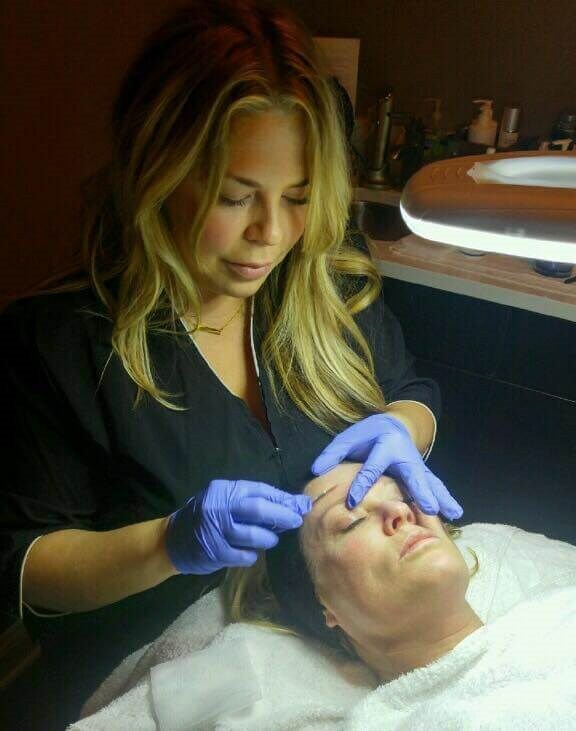 First of all, let’s make sure to eliminate any misunderstanding about what dermaplaning is. It is not Microblading and has nothing to do with your eyebrows – a common misunderstanding. Dermaplaning is a technique of exfoliating the face using a sterile surgical blade that can only be performed by a trained professional - for obvious reasons. This exfoliation method removes the top layer of dead skin that hasn’t yet sluffed off naturally while also removing the vellus hair (peach fuzz). No razor (other than a straight blade) can exfoliate and remove vellus hairs like the precision of a surgical blade in skilled hands! Not only does your skin look instantly smoother and feel softer, but the procedure also allows your serums and creams to penetrate more effectively. Also, it triggers the new skin cells to regenerate. As an added benefit of losing those little hairs, dirt and oil can no longer become trapped by them resulting in less congested and smaller pores. There are only a few types of skin that should avoid this treatment. If you have active acne, you should avoid this procedure as it can spread the bacteria and increase the breakout and it would also be irritating to the skin. For those with dark or coarse facial hair, this is also not an ideal procedure for you as it could cause razor rash and in-grown hairs. If your skin has deep wrinkles, it may not be an option for you since the blade cannot move smoothly across the face. For most people, we recommend having a dermaplaning procedure done once every 4 weeks for best results. You might even want to consider a light chemical peel or laser treatment following your treatment or in between your treatments to maximize the results giving you soft, glowing skin that lasts for weeks! Whatever you decide, be sure to only allow someone who is trained properly to perform dermaplaning on you. Not all aestheticians are trained in this technique.